Hopefully the drunk driver will be punished accordingly, but that doesn’t heal your injuries or pay your bills. Fair or not, the criminal charges have little bearing on your civil claim for damages. At Bracamontes & Vlasak, P.C., we understand the desire to hold the reckless individual personally and publicly accountable for a senseless tragedy. In those rare cases when the intoxicated driver has substantial assets or when a third party can be held liable, we will vigorously pursue those avenues. But we also know that these cases usually boil down to a straightforward insurance claim. We put our energy into the true value of your case — detailing the economic loss, lasting impairment and compensable suffering to maximize compensation. Dram shop insurance — Under California law, bars, restaurants or liquor stores are liable for damages if provided alcohol to a driver under the legal age of 21. Personal assets — If the accident caused catastrophic injuries or wrongful death losses not covered by insurance, we can bring a parallel lawsuit against the individual driver to recover additional damages. Personal injury liability — The driver’s insurance will cover your losses up to the policy limits. While evidence of intoxication is ample proof of negligence, there is no provision for extra “drunk driver compensation.” Thus, punitive damages must often be sought against the driver. 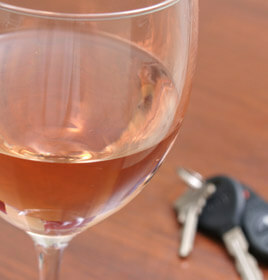 Uninsured/underinsured motorist (UM/UIM) — Drunk drivers often have no assets or insurance, or even a valid license. Our attorneys are well-versed in UM/UIM claims under your own auto policy when the intoxicated driver has no insurance or limited coverage. We are committed to maximizing compensation after a DUI accident. We serve San Francisco, Oakland, the Bay Area and Northern California. For a free consultation with our San Francisco drunk driving accident attorneys, call 415.835.6777 or contact us online.